After opening up about his excitement selecting the suits and finding the right venues for his wedding, Reggie Yates chose not to get married. However, he did have a wife and a mistress albeit a bit unconventional than the regular wife. The 35-year-old is an actor and TV Presenter known for his works with BBC, both in radio and TV. He is also a record winning documentary producer and is the man behind Extreme documentary series regarding Russian, South Africa, and the UK. The British actor began his acting career from the early age of eight after appearing in sitcom Desmond's. And the early beginning whetted his appetite and became a household name after appearing in long-running sci-fi series Doctor Who. Apart from that, his acting career saw him act in numerous other series. Not just that, he had a parallel career as a TV host and hosted the first two seasons of The Voice UK and BBC's Prized Out. Similarly, he also hosted BBC's pop-countdown show Top Of The Pop, and also ITV2's Release The Hounds from 2012-17. However, it was his work in documentary series with BBC, where he established himself. 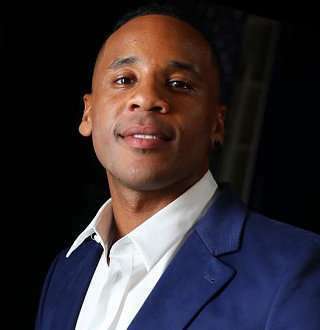 His work in Reggie Yates' Extreme UK saw him felicitated with numerous awards and he continued the series in South Africa as Reggie Yates' South Africa. Similarly, he extended the show in Russia, entitled Extreme Russia where he provided viewers with the experience of living in Russia. Not only did he talked about the hardships gay people faced in Russia but also spoke about the gang culture. His work in Russia saw him numerous awards including Best Presenter, Best Program and multiple other in various honor shows in the UK. However, it is not just the awards that the star has racked up during his two-decade-long stay in the entertainment industry. Also, his documentary Reggie Yates Outside Man that chronicled the most significant issues like gun violence, gay rights, racism and drug addiction saw his stars rise further up. Apart from being a TV presenter and an actor the star is also a photographer and has interest in DJing. The star boasts a considerable net worth of $3 million from his time working in the showbiz. With the star still relatively young and making waves for himself, it would not be a far-flung statement to say his net worth is only going to increase. The multi-faceted TV star was born on 31 May 1983 to parents who were born in Ghana. However, he was raised up in north London and attended the Central Foundation Boys' School in Islington. The star's family life has mostly remained under the veils and is not big into social media. However, he was involved in a high profile relationship with his girlfriend that had him regularly splashed across the face of news. The star was in a romantic relationship with travel and fashion blogger, Tia Ward. The pair began dating in 2012, and in 2015 the boyfriend-girlfriend duo decided to step up their relationship. The star was engaged with his girlfriend in a romantic getaway in Brazil after Reggie popped up the question. The pair's engagement only came to light after Tia was seen flaunting her engagement ring in the middle of January 2015. Reggie and his fiancee were said to have been already formulating their plans of marriage by the end of 2015. A source close to the pair was quoted by Mirror saying, the TV star was already in the process of searching the wedding venue and was actively involved in selecting suits for him for his big day. However, to everyone's surprise, the pair announced their split in February 2016. A source quoted that the thoughts of the wedding were consuming the couple so much that they decided to split. Reggie's to-be-wife had traveled across the Atlantic to get away from the sadness. And the sudden upturn in the stars mind about not getting married resulted in him being labeled as a gay. The star, in turn, confirmed the news of their separation. Reggie also stressed that despite failing to tie the knots he had a wife at home. In an interview with Guardian, nine months from the separation with his fiancee, he added that film was his wife. He further added that music was his girlfriend after the ill-fated breakup. The star reiterated that he had no girlfriend and was single again in March 2018 with The Guardian and also revealed that he would love to parent children. With the TV personality showing his fondness for children, the award-winning documentary presenter could be on the search for a perfect wife to settle down with kids. Sophie Hunter Bio: Married, Children | Who Is Benedict Cumberbatch's Wife? Dean Fleischer-Camp Married & Divorced With Wife; Dating Status Now?